Sandra Beaulieu is a dressage rider and equine artist. She creates calligraphy HORSE designs that she sells on horse tee shirts, hoodies, tank tops, baby shower gifts, equine gifts, holiday gifts, home decor, equine home decor, and pillows. She also creates horse logos and graphics for equestrian businesses. She lives in Dover-Foxcroft, Maine and owns Douwe the Amazing Friesian and Rovandio, an Andalusian/Lipizzan gelding. I fell in love with horses at the age of 7. I began to draw them constantly. During high school I was in the advanced placement art class where I studied Chinese calligraphy, a skill I would use again later on. I started Equine Spirit Art when I graduated high school and etched horse designs into wooden objects like peg racks, jewelry boxes, and toy chests. In 2009 I was inspired by my aunt Evelyn King to create a horse design for a silver pendant. The lines could not touch because the design would be laser-cut out of the silver. Using my calligraphy drawing skills I created the Spirit Horse design and that inspired my current collection of designs. I love to explore different avenues of art, working with different mediums, textures, and always trying to think outside the box. 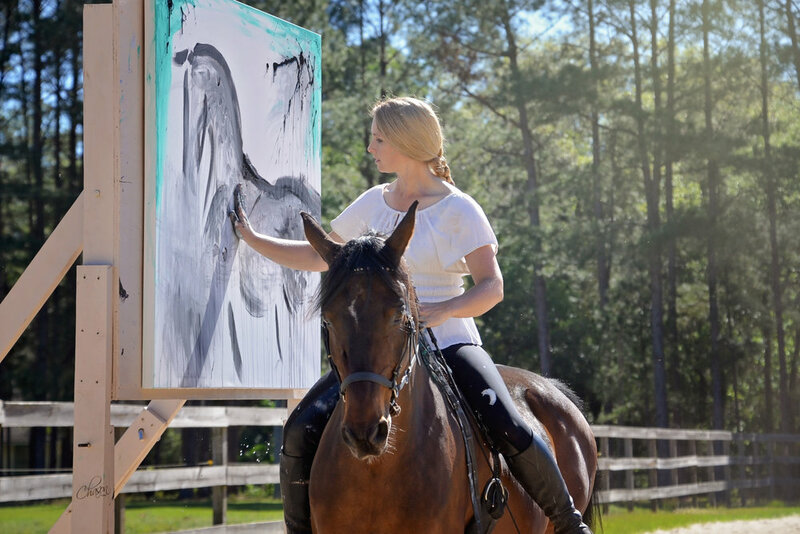 In 2014 I began to create Art on Horseback, an idea I had over two years ago. I ride Rovandio, my mother-in-law's Andalusian/Lipizzan gelding, by a large canvas, using dressage movements to help me land the right brushstrokes. Click here to visit the Art on Horseback webpage. I hope you love my products and feel great knowing that you are supporting an artist, a horse lover, a local business, and the environment. 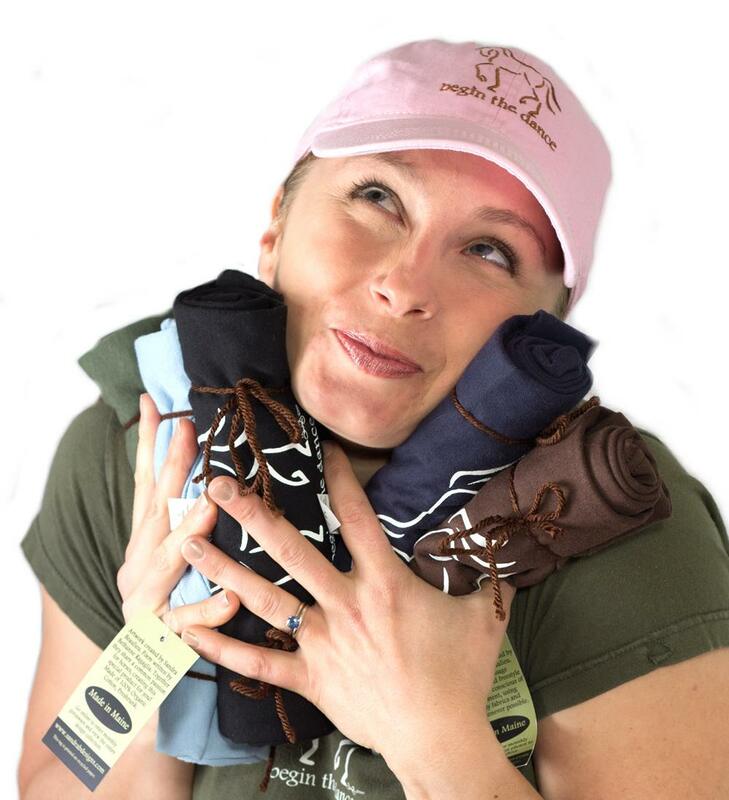 I use organic and recycled clothing when they are available for my store. You can feel the difference and it helps take care of our planet. Please feel free to contact me if you have any comments, questions, or suggestions.